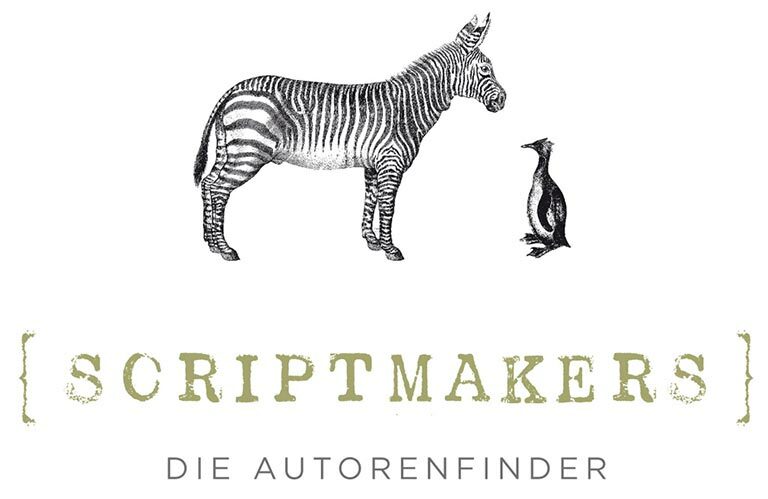 Scriptmakers is a casting platform for screenwriters in the German speaking territories, supported by a screenwriters’ database and search engine. You are looking for a writer who can write certain genres or formats, for specific target audiences? It is important to you where they live, which languages they speak, what special types of knowledge they have outside the area of the moving image? This is how it works: Walkthrough. Scriptmakers offers individually adjustable tools for inviting submissions from writers. You can use this for example to ask for work samples in a specific genre/format or to invite a pitch or writing challenge tailored to your need or idea. We are also happy to become your scout, finding the one special writer you need, but who is not in our data base yet. We read your screenplays and do short or extensive written or oral evaluations. Scriptmakers offers an exclusive selection of workshops for professional writers and content developers (see further below). read our FAQs (for example about agencies, submission calls and membership) . Writers give and get feedback to and from each other. …can be found here as well. Please check the German page for dates of upcoming events. Our list of screenwriters currently associated with Scriptmakers (in German) can be found here and is updated regularly. Some of their news are published here (in German). Nice to meet you: Scriptmakers Get Together every 2 months in Berlin and other informal meetings of screenwriters in Hamburg, Cologne, Flensburg and Leipzig: please check upcoming dates on the German page. Here you can find our online press folder on our homepage. If you want us to stay in touch, please subscribe to our Newsletter. While trying to wade through stacks of unsolicited ideas and material unsuitable for their specific area of work, producers and commissioning editors often find it very hard to locate new writers with the very specific qualities and abilities they are actually looking for. Who can write a bang-on script for a certain TV slot or a certain format? Where do I find the best co-author for an existing project that needs new input? Or suitable new members for a bigger team of writers? Who has the know-how to write content for new media? Where do I find writers who speak a certain language, know a lot about a particular historical period/country, scientific area, type of music, sport etc? The search for the fitting writer frequently means going around in circles between one’s established stock of writers and the principle of chance. There is usually a great deal of hesitation to publicly call for submissions. They rarely reach the “right” people and the effort involved is disproportionate to the results yielded. How can Scriptmakers help me to find the appropriate writers for my projects and what does it cost? Many screenwriters are reluctant to engage in self-promotion, preferring instead to survive on personal contacts. But how well does that work? How often does an author labour on one single project, only to fail in finding the right producer in the end? How many writers turn their backs on the business out of frustration after a couple of years, in spite of being both talented and competent? Other writers may do well for themselves but might be stuck in a niche that threatens to be too narrow or too boring; or the TV slot they’ve been working for is suddenly cancelled; or an assignment that was firmly scheduled collapses in the last minute. What to do? Even a writer or agent with the best of networks does not always hear when a producer is desperately looking for someone exactly like him or her. One of Scriptmakers´ special features is that we accept writers for non-fiction, factual and entertainment formats, as well as for commercials, games and interactive media. These are expanding markets with a big demand for skilled writers. How does Scriptmakers work for writers and how much does it cost? As part of our submission process, Scriptmakers offer their clients the possibility of a pre-selection through external evaluators. Scriptmakers´ external evaluators have at least five years of experience as script readers and script advisors. We are also happy to provide professional readers, script consultants or script doctors for single projects. Would you like to know who has supported us until now? The founder and CEO of Scriptmakers is Sandra Ehlermann. She is a filmschool graduate of HFF Potsdam-Babelsberg and has worked as a script reader/evaluator and script advisor since 1996. The idea for Scriptmakers came about when she realized the necessity for such an internet platform in the film and TV industry.